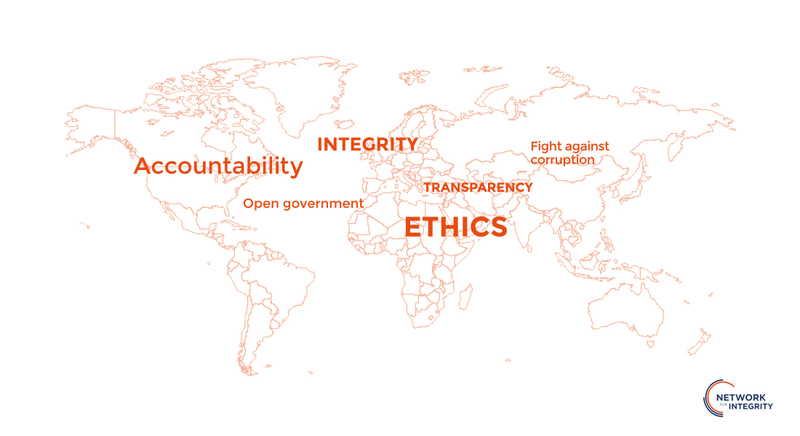 Created in December 2016, the Network for integrity is an initiative formed by 14 independent institutions working to promote transparency, ethics and integrity in public life across the world. The Network for Integrity is an initiative that was launched on 9 December 2016 in Paris, with 13 institutions across the world. With an additional membership in 2017, the Network now gathers 14 institutions from Armenia, Ivory Coast, Croatia, France, Georgia, Greece, Latvia, Mexico, Peru, the republic of Korea, Moldova, Romania, Ukraine and Senegal. All institutions share a non-jurisdictional mandate, a complete independence from the executive and legislative branches and missions related to transparency, ethics or integrity of public officials. The High Authority is a founding member of the Network and is currently holding the vice-presidency and the secretariat. As an initiative for exchange of information and best practices among its members, this Network aims at developing and promoting an international culture of integrity in order to strengthen citizens’ trust in their governments and administrations. It allows the High Authority to share its expertise with regard to the implementation of the French interest and asset disclosure system, but also to share challenges and ideas with other like-minded institutions on multiple topics.